Ivatt 2-6-2T 41241 has been in action for the last of the school holidays of 2018 with MR 0-6-0 4F 43924 taking over operations this weekend on the steam service with our Class 101 diesel multiple unit on the diesel turns. 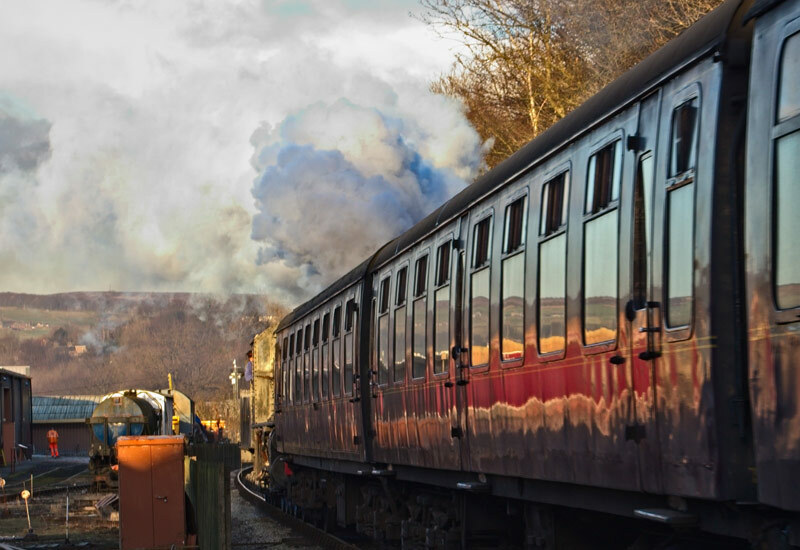 The Winter Green timetable operates on Saturday and the Blue Winter timetable on Sunday. BR Standard 4MT 4-6-0 75078 is back this weekend at the head of the steam service on Saturday and Sunday. The Easter programme of services start next Friday and the roster for Friday and Easter week will be posted on Thursday, 29th March. First train departs Oxenhope (diesel railcar) at 09.00 with 75078 operating from 11.00 and on Sunday, the first passenger service is steam hauled at 10.15, working a two train service with the diesel railbus. The diesel service will be in the capable hands of our railbus M79964 which will also be on duty on the Wednesday railcar service. It is well worth taking a journey in this vehicle which celebrates its 60th birthday this year. 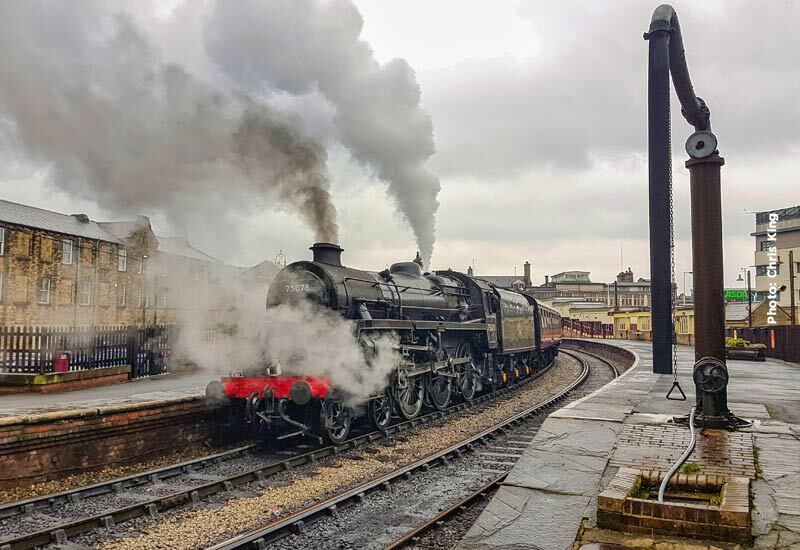 The Spring Gala has been hailed a great success by everyone that attended and the crews and railway volunteers certainly delivered what one person described as the best KWVR Gala he had attended. However, all good things must come to end and our guest locomotives, 70013 ‘Oliver Cromwell’ and 53808 have returned by road to their respective home railways, the Great Central at Loughborough and the West Somerset Railway at Minehead respectively. However one guest locomotive has stayed behind and steam services will run on Saturday and Sunday, this weekend with Ian Riley’s LMS Class 5MT ‘Black 5’ 4-6-0 44871 as the motive power. The weekend diesel service will once again have railbus M79964 providing the accommodation. However the Wednesday railcar service will see the Class 101 diesel multiple unit making a re-appearance after a while on the sidelines. 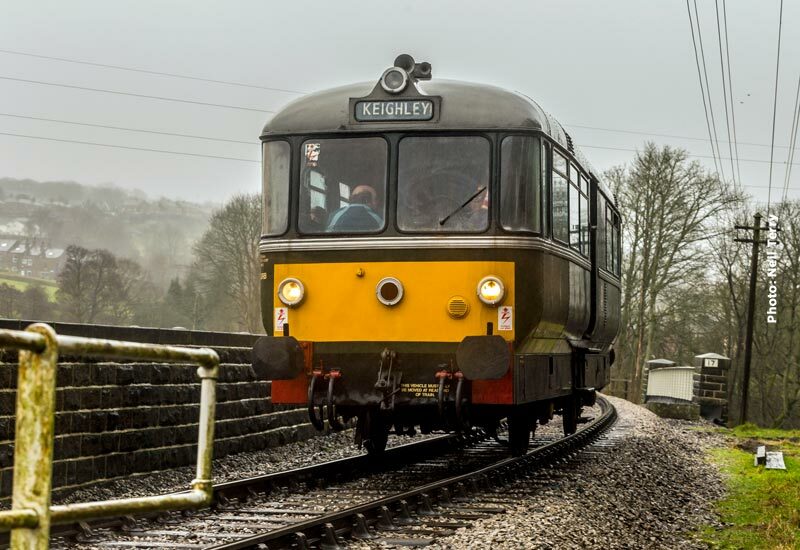 On Saturday the first train departs Oxenhope (diesel railcar) at 09.00 with 44871 operating from 11.00 and on Sunday, the first passenger service is steam hauled at 10.15, working a two train service with the diesel railbus. No sooner had the news item been sent out regarding the diesel service this weekend, than Mission Control (Haworth Station) sent out an amendment that only the Saturday diesel service would now be cancelled and Sunday services will run as per the published Blue timetable with 75078 and M79964. 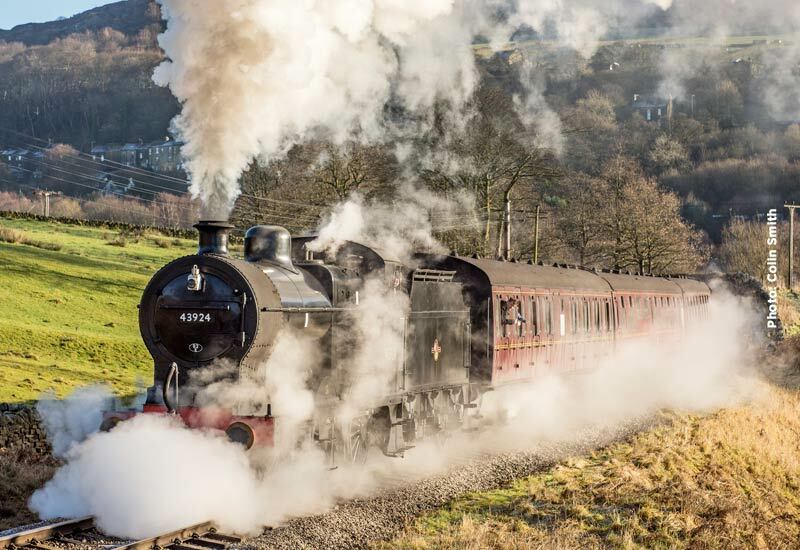 In addition, on Saturday all steam services on the advertised revised green timetable, will run as a top and tailed formation with steam on the Oxenhope end, 75078, and the class 20 diesel, 20 031, on the Keighley end. Hopefully, that is now set in stone, unless someone else knows differently! So, brave the cold, just as our volunteers have bravely done, and get out there with your cameras to record this unusual formation, normally only seen when the man in red with the reindeer comes around. Firstly, an apology for the lack of a notification last week of the locomotive for last weekend. 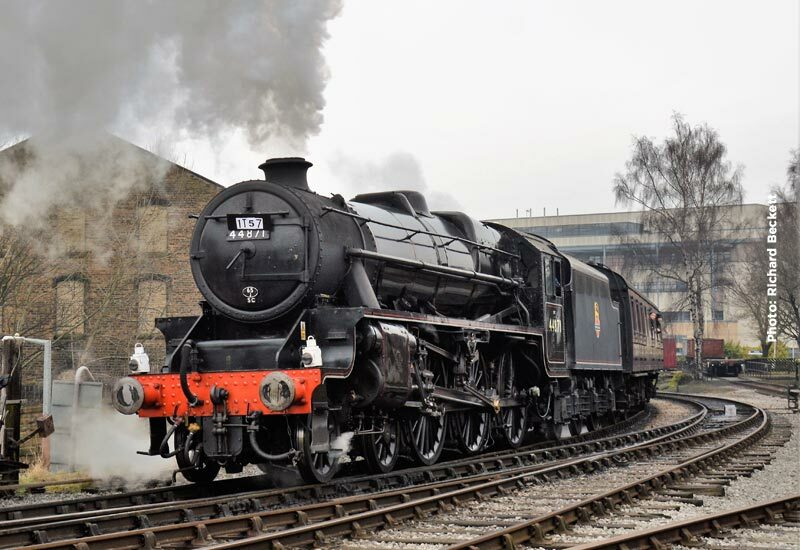 It was unclear until Friday which locomotive would provide the power over the weekend, with final choice being on loan visitor LMS 5MT 4-6-0 44871. 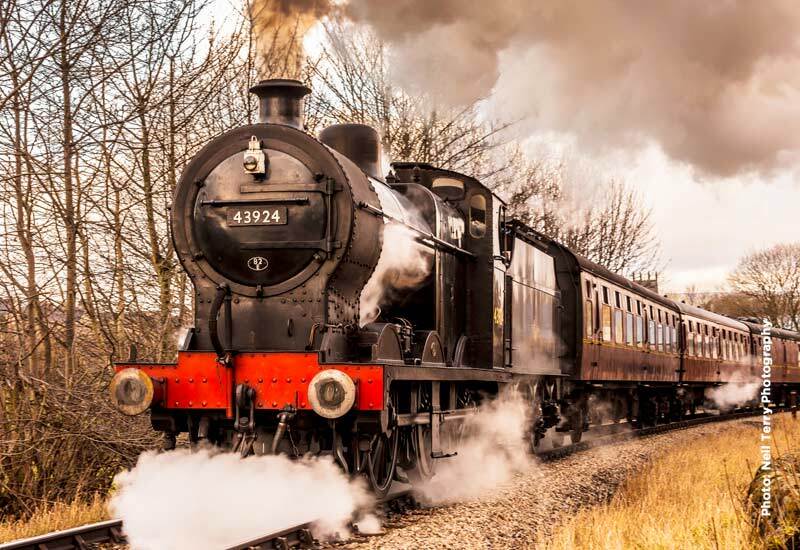 This weekend will see MR 4F 0-6-0 43924 on a 4 coach train, including real ale buffet car. 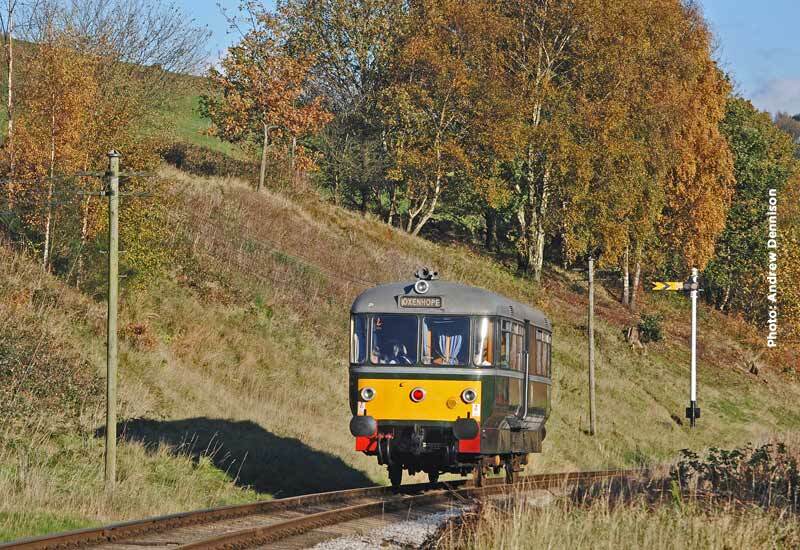 On Saturday the first train departs Oxenhope (diesel railcar) at 09.00 with 43924 operating from 11.00 and on Sunday, the first passenger service is steam hauled at 10.15, working a two train service with the diesel railbus. Firstly an apology for the lack of a notification of the roster for last weekend. With maintenance being carried out on the original rostered locomotive still ongoing, it was not possible to determine the engine in time to send out a post and it was an 11th hour decision to use Standard 4MT 4-6-0 75078 in its stead. No such problems (hopefully) this week with TVR Class o2 0-6-2T no. 85 rostered for a 4 coach set Saturday, right through to Friday with mid-week running on the timetable for the schools’ half term. The Saturday morning and all day Sunday diesel service will be in the hands of our diesel railbus M79964. 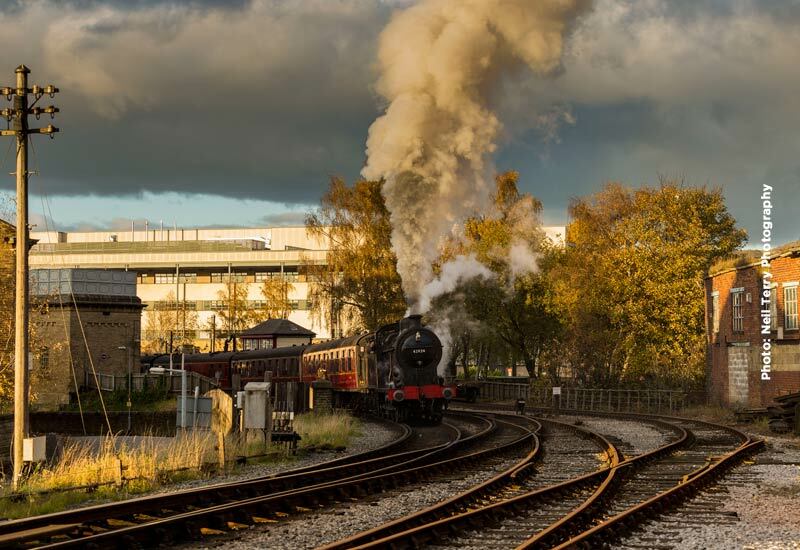 With Paddington arriving on the Railway Wednesday and Thursday, there will be a 2 train steam service Wednesday – Friday. Unfortunately the second locomotive has not been determined as this notification goes out. Keep an eye out on the website and social media for updates. Taff Vale Railway 0-6-2T no. 85 is back this weekend at the head of the steam service on Saturday and Sunday. 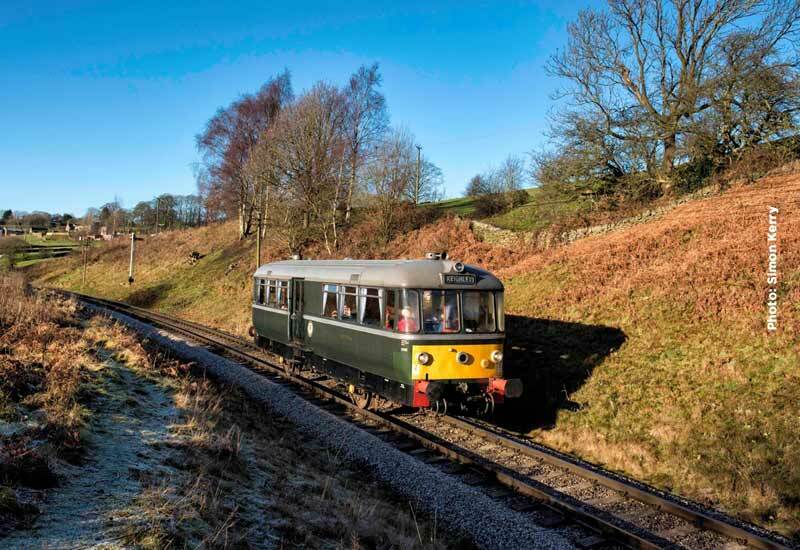 First train departs Oxenhope (diesel railcar) at 09.00 with 85 operating from 11.00 and on Sunday, the first passenger service is steam hauled at 10.15, working a two train service with the diesel railbus. 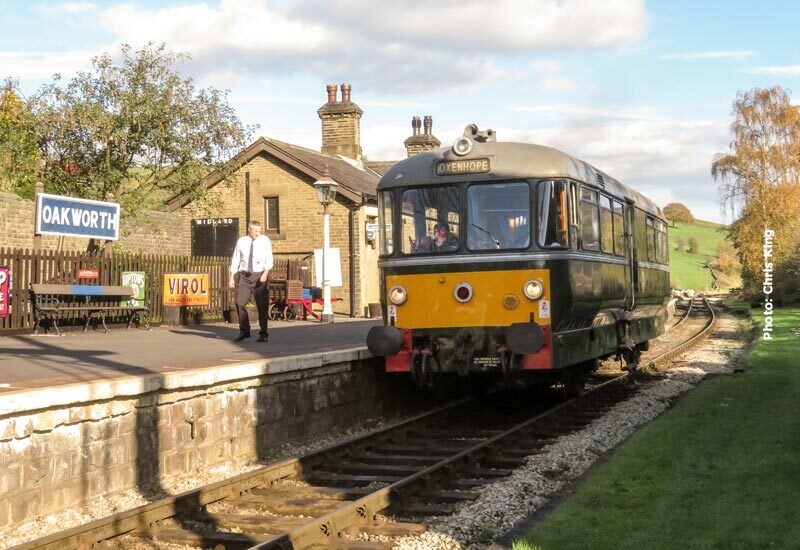 The diesel service will be in the capable hands of our 1958 vintage railbus M79964, well worth taking a journey in this vehicle which celebrates its 60th birthday this year. Having held the fort on the weekend steam services this year, 43924 steps down this weekend for a well earned break. 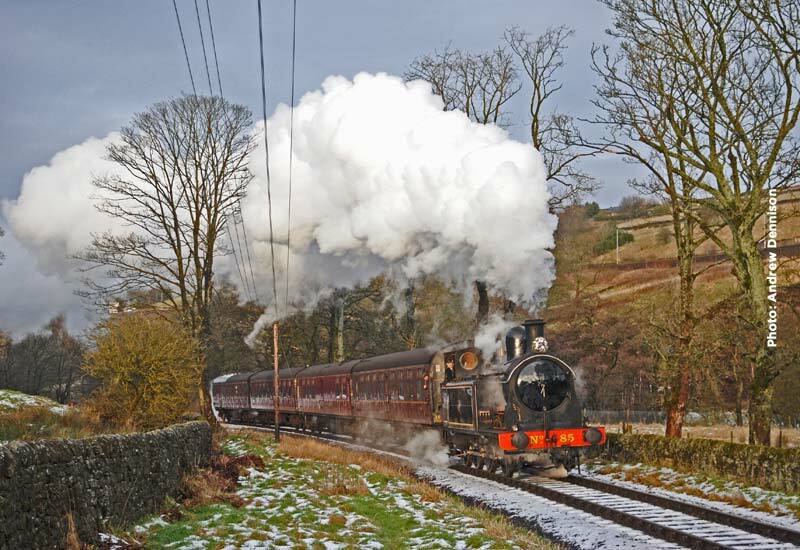 Having spent Christmas in the Dales at the Embsay Steam Railway, TVR 02 Class 0-6-2T no. 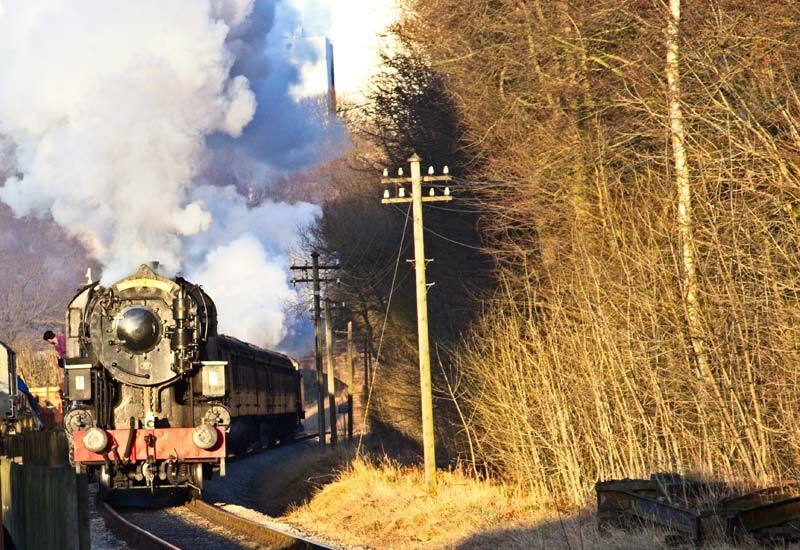 85 returned after its duties there and will be at the head of steam services this weekend potentially in the same conditions experienced just over a year ago, after snow had fallen in the Valley. Our diesel railbus M79964 will be operating the diesel service on both days. First train departs Oxenhope (diesel railcar) at 09.00 with 85 operating from 11.00 and on Sunday, the first passenger service is steam hauled at 10.15, working a two train service with the diesel railcar. MR 4F 0-6-0 43924 is back this weekend at the head of the steam service on Saturday and Sunday. First train departs Oxenhope (diesel railcar) at 09.00 with 43924 operating from 11.00 and on Sunday, the first passenger service is steam hauled at 10.15, working a two train service with the diesel railcar. 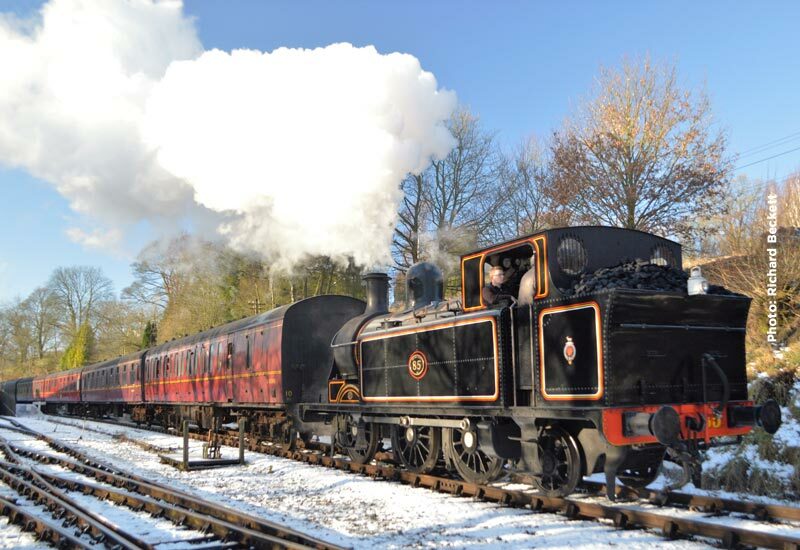 Having operated on the last Mince Pie Special in place of the failed 44871, MR 4F 0-6-0 43924 is back this weekend at the head of the steam service on Saturday and Sunday. First train departs Oxenhope (diesel railcar) at 09.00 with 43924 operating from 11.00 and on Sunday, the first passenger service is steam hauled at 10.15, working a two train service with the diesel railcar. 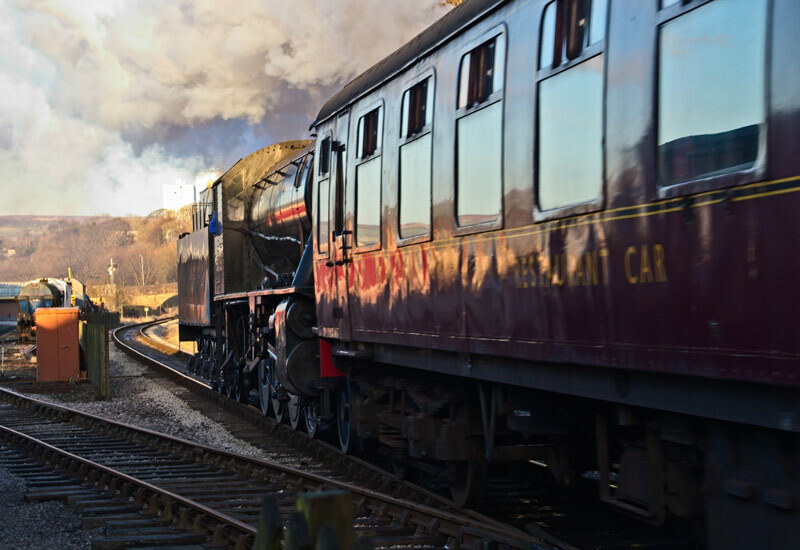 In just over a week’s time, our normal service trains give way to our seasonal Santa Steam Specials which start on the 25th November and run right through to Christmas Eve. For this, the last weekend of ‘normal’ service trains, MR 4F 0-6-0 43924 will have the honours, of bringing the curtain down on 2017 standard timetable workings, which recommence on Saturday 6th January 2018. Our diesel railbus M79964 will once again operate the Saturday morning and a Sunday diesel services. The first weekend in November was marked with some fine weather in the Worth Valley so hopefully this weekend will continue the trend. At the head of the steam service this weekend will be BR WD 2-8-0 90733. These Winter months heralded the return to active service of our diesel railbus M79964 and this venerable vehicle will once again operate the Saturday morning and a Sunday diesel services. 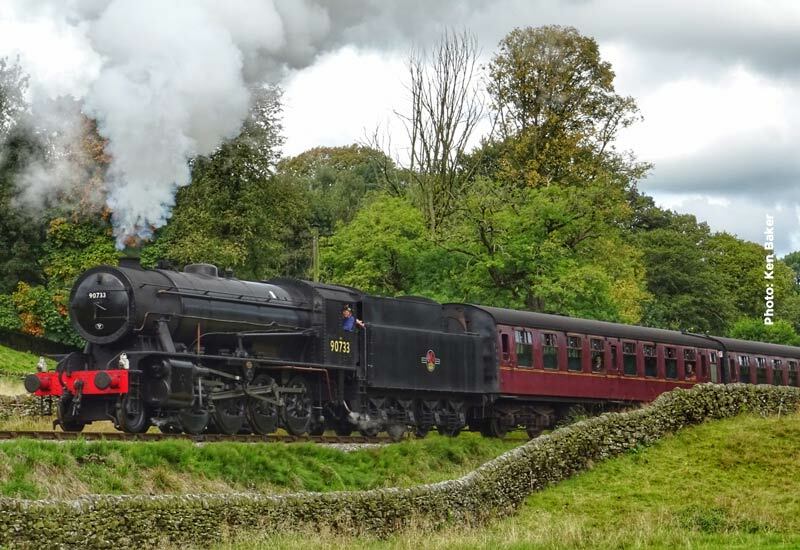 USATC S160 returned to action last weekend and will continue this weekend at the head of the Saturday and Sunday steam service. 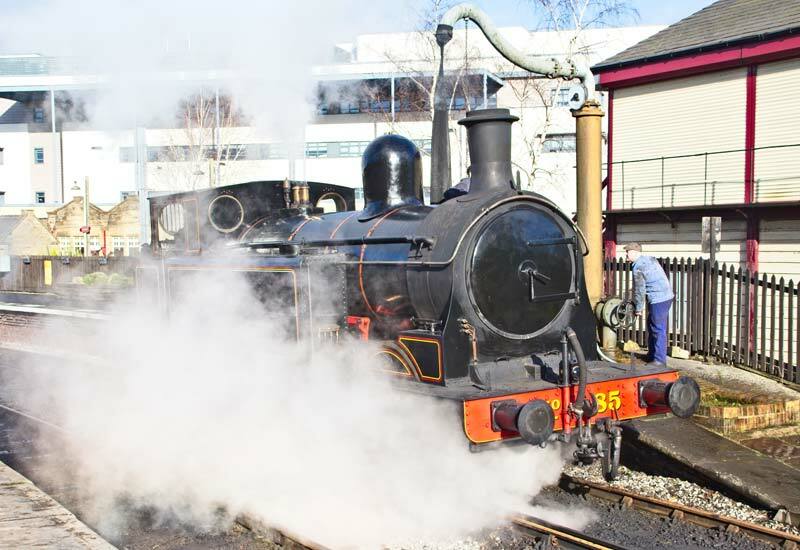 However it is Mother’s Day this Sunday so it is a steam only Sunday with MR 4F 0-6-0 43924 on the second steam working that will including our 2 Pullman coaches serving Afternoon Tea to the mother’s who have been fortunate enough for their “little ones” to have reserved their places on their special day. 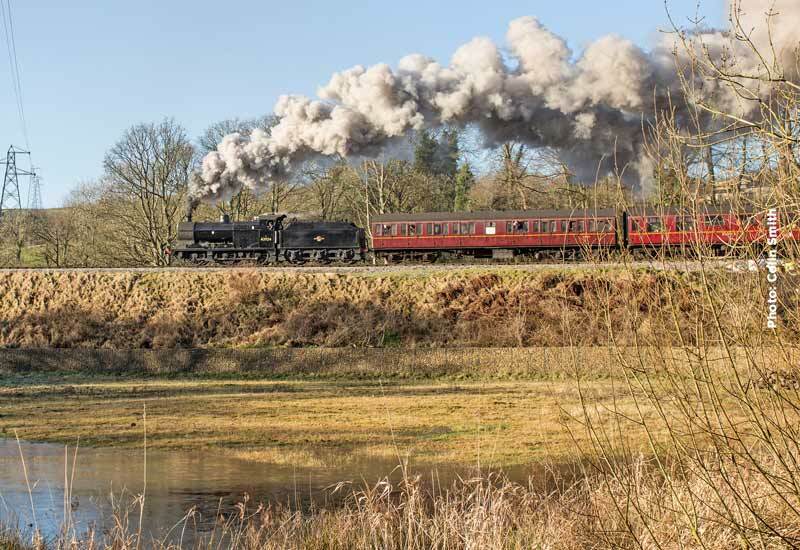 The photograph above shows the same locomotive on the Mother’s Day train in brilliant blue skies in 2016, fingers crossed that the same weather is enjoyed this year. The Saturday diesel service will be in the hands of railbus M79964. BR B1 4-6-0 61264 is leaving the Railway this week to return ‘Home’ and so it is back to the home fleet to provide motive power at the weekend. Having seen little use since the Santa Steam Specials, USATC S160 2-8-0 re-enters the fray this weekend at the head of the Saturday and Sunday steam service. The diesel railbus M79964 provides the diesel service and is a good way to see the branch, not seen from our locomotive hauled stock. 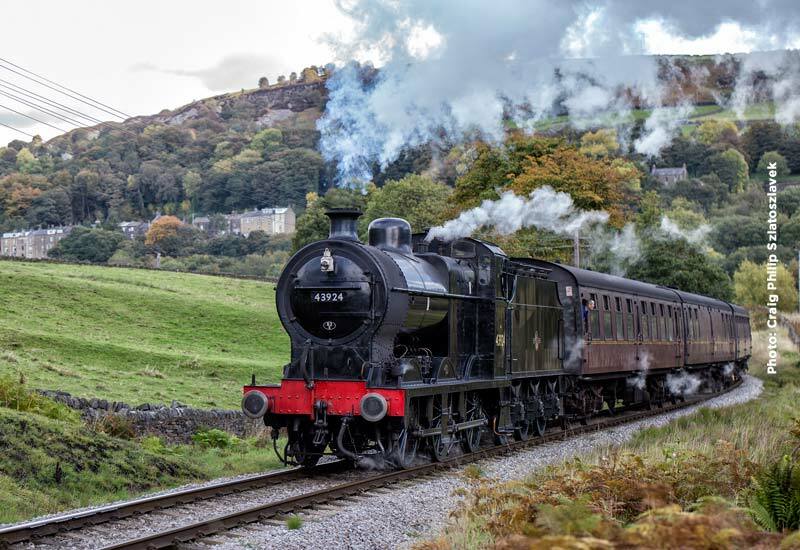 Those that attended the Gala last weekend witnessed an exceptional 3 days of steam action with the final count of 3 visiting locomotives in the shape of B1 4-6-0 61264, ‘Crab’ 2-6-0 13065 and our own Black 5 4-6-0 45212. Sadly the forth engine, Black 5 45407 did not pass its mainline test run in time to make it for the event. 45212 has departed the Railway back to Bury via our mainline connection and 13065 has left us for the same destination by road. 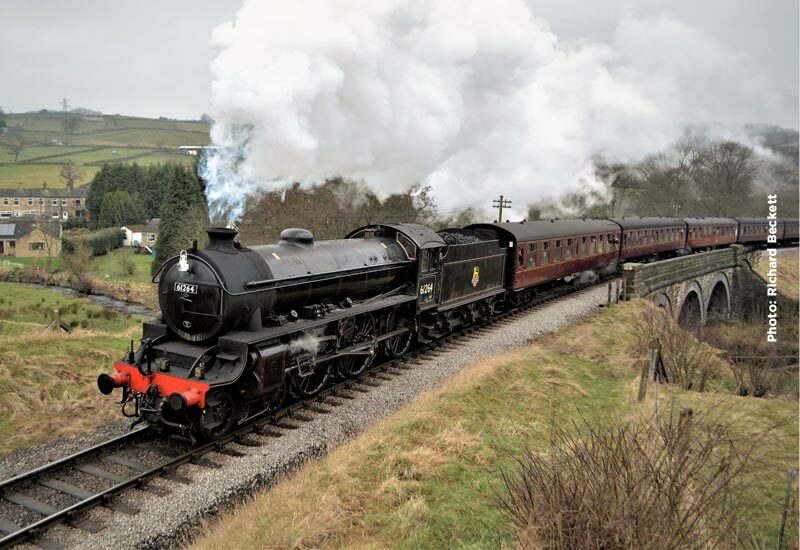 However we are delighted that the B1 is still with us and will be at the head of the steam services this weekend before returning to the North Yorkshire Moors Railway next week, giving everyone another chance to once again ride behind and photograph this superb locomotive. The diesel passenger service will once again be with the trusty diesel railbus, M79964. Having been rostered last weekend Taff Vale Railway 0-6-2T no. 85 was, in fact, substituted by BR Standard 4MT 4-6-0 75078 and the ex-Southern Region locomotive will continue this weekend. After being the mainstay of services since the turn of the New Year, 85, a veteran built in 1899, is finally taking a well earned rest. Unfortunately the news item sent out earlier was erroneous in more ways than one, for which we humbly apologise. That post should have read as follows (and the date amended to THIS weekend). Taff Vale Railway 0-6-2T no. 85 should have had the luxury of a day off on Sunday when USATC S160 5820 was due to handle the steam service but 5820 remained on shed and 85 handled the day’s steam service. The TVR tank will not be getting respite this weekend either and is back this weekend on both Saturday and Sunday. The highlight of last weekend was the trial running of a steam hauled (empty) passenger set banked by a further steam locomotive to simulate the operation when ‘Flying Scotsman’ visits in April. Under normal circumstances steam banked passenger services are not permitted and hence the trial. 60103 is a thoroughbred and the lifting of a heavy train, which will include both Pullman coaches, on the steep curve out of Keighley and up Keighley Bank is not what the A3 Pacific was built for. 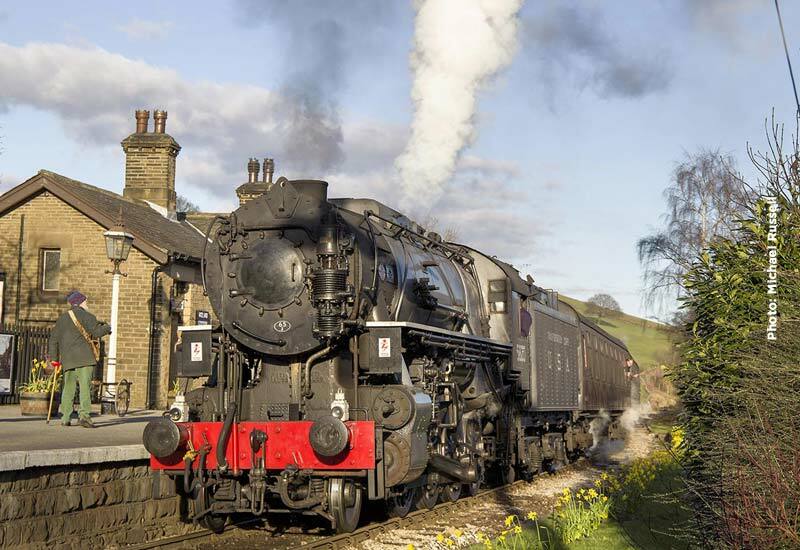 Banking assistance has therefore been given special dispensation to ensure that the days services operate without hitches and delays, should the Pacific need assistance out of Keighley. This adds to the dispensation for the axle loading which is over normal KWVR limits. 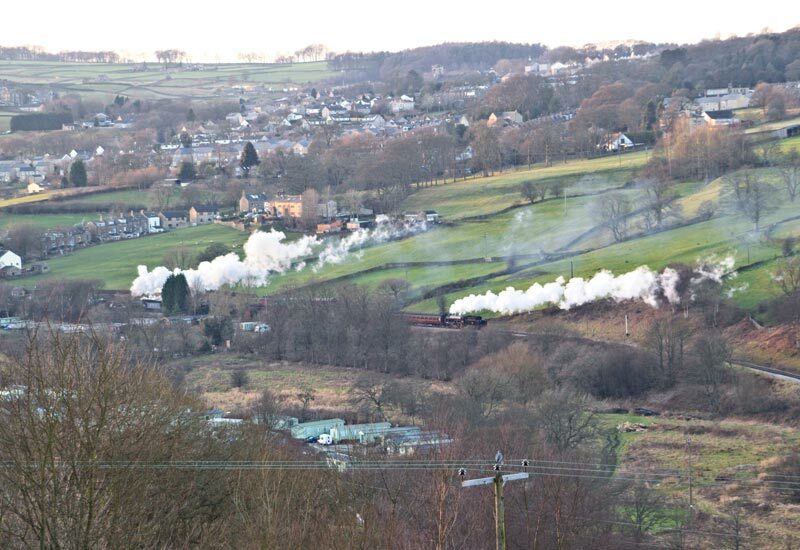 A view across the Valley as the evening sun sinks below the skyline and the pair continue on through Oakworth on the last trip of the day. Taff Vale Railway 0-6-2T no. 85 had the luxury of a day off on Sunday when USATC S160 5820 handled the steam service but is back this weekend on both days.